Have you tried the newest sourdough pizza? 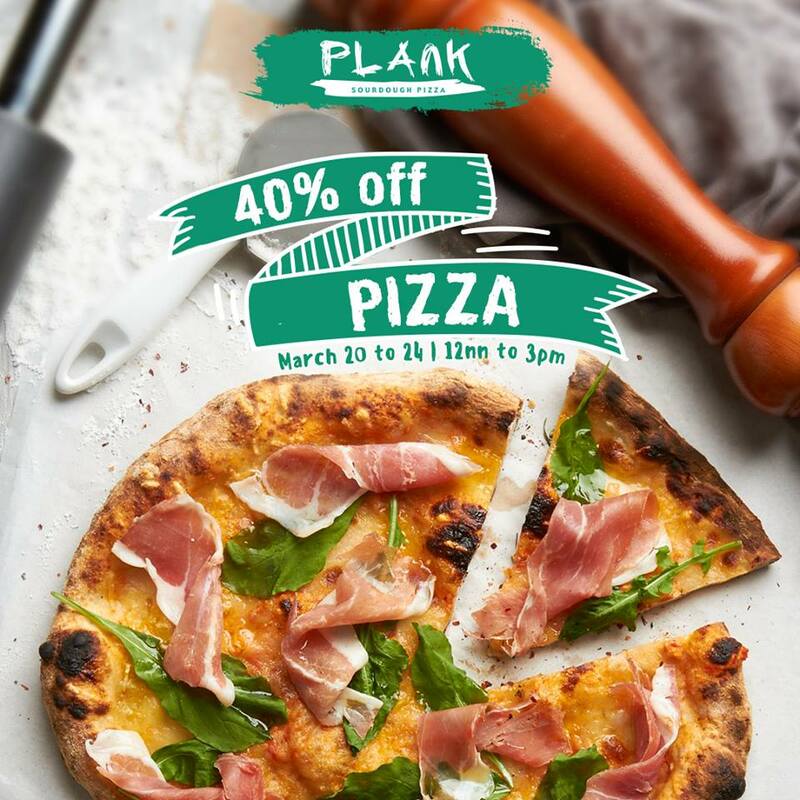 Catch the Plank's Sourdough Pizza Promo, happening until March 24, 2017! Get 40% off on pizza from 12nn to 3pm only. Plank Sourdough Pizza is located at G/F S Maison (just beside Baker&Cook), Conrad Hotel SM MOA Complex. For inquiries, please call them at 809-2340.